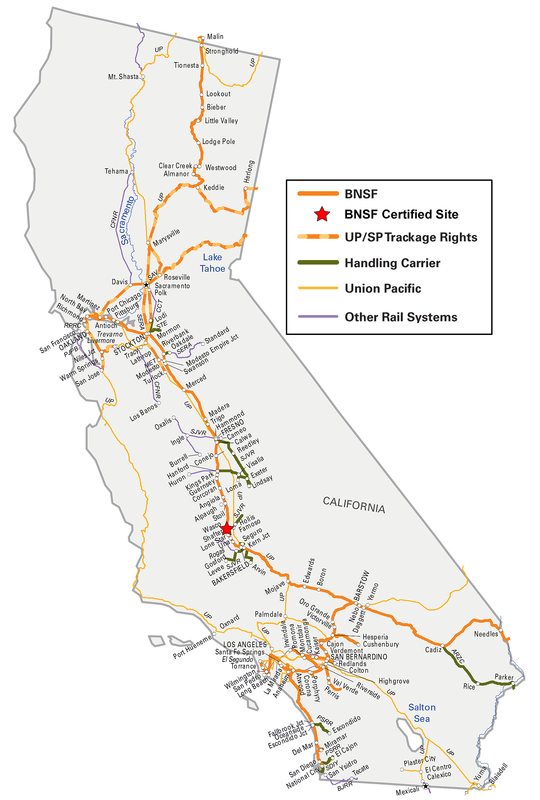 As a major freight rail transporter in California since 1883, BNSF has strong ties to the area. Here are some key facts about BNSF in California, and how we help the state remain a crucial gateway for international trade. For 2018, BNSF announced it would invest approximately $230 million in its network in California, and approximately $3.3 billion in capital expansion and maintenance across its system. The largest component of the plan was replacing and maintaining BNSF’s core network and related assets to ensure BNSF continues to operate a safe and reliable network. In addition, investment was made in expansion projects, continuing implementation of positive train control (PTC), and acquiring new locomotives, freight cars, and other equipment. In 2017, BNSF invested approximately $170 million in California for capital projects.